October’s Artefact of the Month features a collection of pencil carvings created by 10/303 Private Christopher William ‘Bill’ Connell. 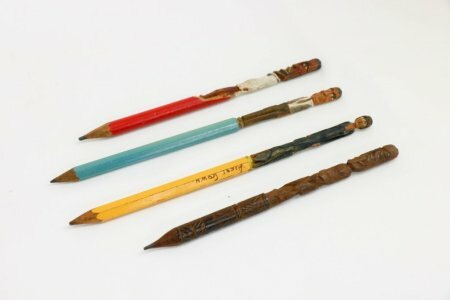 According to Bill’s family history, these pencils were carved in the trenches during World War One. His military record suggests that the only trenches Bill served in were those on the Gallipoli peninsula, so it is possible that these pencils may have been carved there. The yellow pencil is carved with an image of a woman wearing a blue gown. She is holding a parasol to one side and a clutch purse on the other. Engraved below the carving are the words “ASCOT GOWN”. 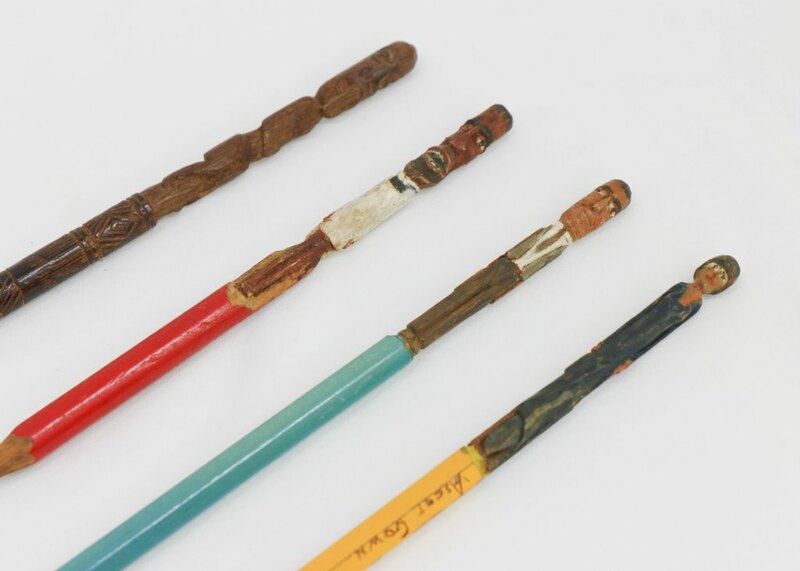 The teal pencil is carved with an image of a man in a grey suit and tie. The figure found upon the red pencil depicts another image of a man, possibly a waiter, in a white suit and bow tie. 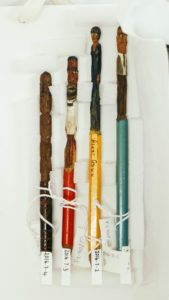 On the remaining section of the red pencil the words “…LASTIC DRAWING PENCIL EAGLE PENCIL Co / LONDON”, can be seen. 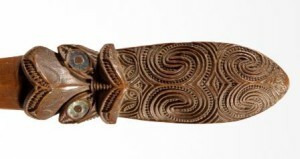 The black-coloured pencil is carved with the likeness of a Māori Pou and the area towards the tip of the pencil features a series of carved, tāniko style patterns. Bill Connell enlisted on 14 August 1914 spending time in both Egypt and Gallipoli during his overseas service with the Wellington Infantry Battalion. He was discharged from the New Zealand Expeditionary Force (NZEF) on 13 May 1916 as he was no longer fit for duty on account of wounds inflicted or sickness contracted while on active service. On 11 October of the same year Bill was mentioned in the supplement to the London Gazette as being awarded a Military Medal for acts of bravery during the course of war. Bill Connell died on 25 November 1918 in Whanganui due to influenza complications. He was 25 years-old at the time of his death and is buried at the Aramaho Cemetery in Whanganui. Conservation Week is an important time to understand the value of our environment, enjoy the connection we share with the land, flora and fauna which surround us and consider how we can preserve these treasures for generations to come. 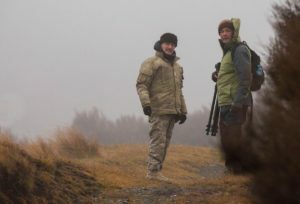 The Waiouru Military Camp is situated within the wild terrain of the Central North Island, a unique environment home to diverse land formations, animals and plant species. 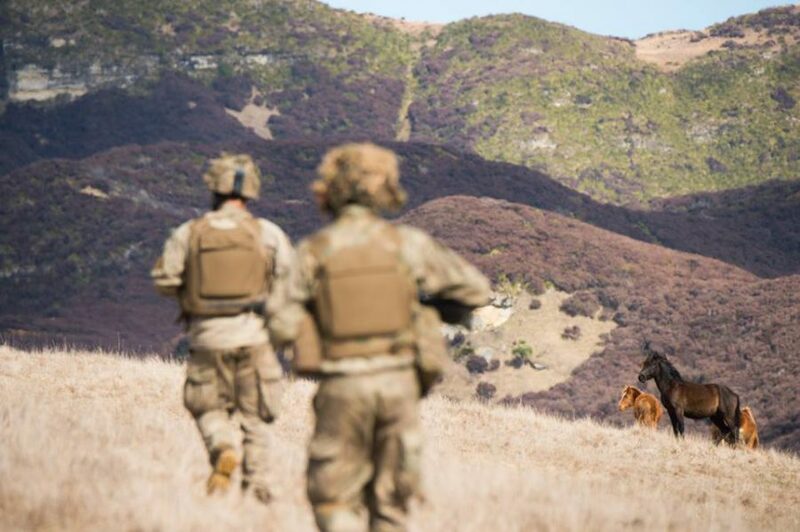 Waiouru Military Training Facility Commandant Major Pat Hibbs was kind enough to share some of his thoughts on the values of conservation within the New Zealand Army’s largest military training area and why he feels it is so important to protect. Can you tell us a little bit about the Waiouru Military Training Area (WMTA) in general? The WMTA is 63,000 hectares or approximately 152,500 acres. It consists of a number of quite distinct land forms at altitudes of 700 to 1483 metres. There are extensive areas of volcanic desert, alpine beach forest and red tussock. The swamp lands to the south act as food sources for tangata whenua and the mountain swamps are home to numerous tarns. There are species of rare, indigenous plants which are only found here and in North Canterbury. Why do you think conservation is important for the WMTA? Conservation helps the Army to preserve the special nature of the area. We aim to minimise our impact on the ground and only manage introduced species to ensure native species thrive as much as possible. Pest control also helps in fostering the good relationships we share with neighbouring farms and properties. How do you care for the rare and native plant species within the area? Any areas identified by DOC are marked on our maps and access to these locations is restricted. We do not impact artillery or drive off tracks in these locations. 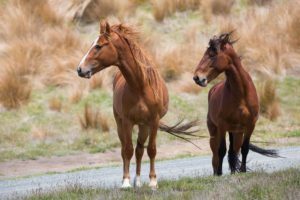 The Kaimanawa Horse Management Plan is a conservational strategy which aims to find a balance between protecting both the horses and the plants. The area is home to a large number of Kaimanawa horses. How has the population developed as a result of conservational efforts to improve their well-being? At the moment there are around 300-400 Kaimanawa horses within the WMTA. In the almost 50 years since I first saw the horses their physical condition has improved out of sight. At one time their numbers exceeded 2000 and the land just could not support them. They looked sway backed, shagged and bloated. The herd is now very healthy, the animals look bigger and individual stallions can be seen in the off spring. The horses are quite colourful with roans, greys, blacks and browns spread around the area. Working so closely with the horses, do you have any first-hand experiences that you’d like to share? I have an old stallion that I take an interest in. He was branded in 1997 so is at least 20 years old. He first came to my attention some 5 or 6 years ago as he appeared to have suffered a major shoulder dislocation. We checked on him every few days and it didn’t seem to affect his ability to forage for himself so he has survived. He seems to be looked after by the other horses and is often accompanied by two in particular. As he doesn’t move that freely, it is possible to quietly walk up to within a few metres of him. If you sit still, he will continue feeding with just a wary eye on you. Often it feels like two old fellas sharing time. What importance does the WMTA environment hold for you personally? The WMTA is where I, like thousands of others started my career. Standing in a trench at night doing sentry whilst the temperature drops well below zero, you cannot help but learn how to stay warm, how to learn to observe and even be fascinated by the night sky. I have been taught so much by the land and had so many growth experiences here that I feel a part of it. Growing older and journeying through the scenic beauty of the landscape time and time again, this sentiment has only become stronger and I think this is why I readily accept the need to protect it. Following up on the Olympic fever that has been sweeping through the country, we’ve rediscovered the story of former New Zealand track star Arthur Porritt, an Olympic bronze medallist who served during World War II. Arthur Porritt took part in the legendary 100m final at the 1924 Olympics in Paris representing New Zealand. 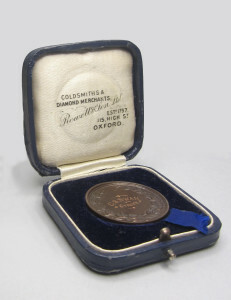 He raced against Britain’s Harold Abrahams and American Jackson Scholz, who won the gold and silver respectively during the final. Porritt came in a close third and earned the bronze medal in a time of 10.8 seconds, securing our first ever track medal at the Olympics. The race was made famous once again in the 1981 film Chariots of Fire, however Porritt’s character was given the pseudonym ‘Tom Watson’ due to his modest reluctance in having his own name used. Porritt was born in Wanganui on August 10th, 1900 and attended Wanganui Boys Collegiate. 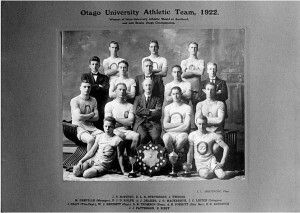 After three years at Otago University, Porritt was offered a Rhodes scholarship to study medicine at Oxford, graduating in 1926. When World War II broke out he served in the British Army as a brigadier, joining the Royal Army Medical Corps. 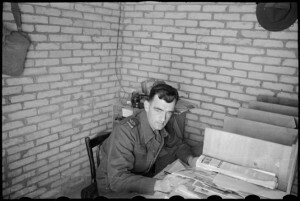 Porritt spent the war in both Europe and Africa, being present at Dunkirk while the evacuation took place and later during the landings at Normandy. He was decorated as an Officer of the Order of the British Empire (OBE) in 1943, raised to Commander (CBE) in 1945 and two years later was made an officer in the US Legion of Merit. Arthur Porrit’s New Zealand Army uniform. After an outstanding list of accomplishments in his athletic, medical and military careers, Porritt went on to become the 11th Governor-General of New Zealand from 1967-1972. On returning to Britain at the end of his term, he was created Baronet of Hampstead and Wanganui and took the title of Baron Porritt. He passed away in London on 1st January 1994, aged 93 years. 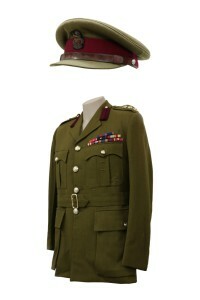 Arthur Porritt’s New Zealand Army uniform is held within the National Army Museum collection. 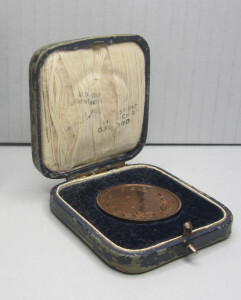 Medallion presented to Private John ‘Jack’ Subritzky after competing in Head of the River rowing race of May 1918. John ‘Jack’ Subritzky was born at Waihopo, Northland on 27 January 1892. He worked as a Kauri gum supervisor and general labourer and served as a Trooper with the Territorial unit, Mangonui Mounted Rifles prior to World War One. The Subritzkys were a well known sailing family and had raced in a number of Auckland regattas. 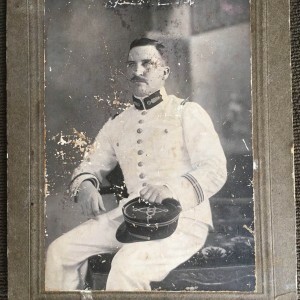 Jack Subritzky enlisted on 9 February 1915 and after a period of training, embarked from Wellington on 13 June 1915 aboard the Maunganui bound for Egypt. On arrival, he was quickly shipped off to Gallipoli and was wounded soon after with shrapnel wounds to the left shoulder. He was treated offshore aboard the hospital ship Aquitania. After convalescence, he was sent to France and saw service on the Western Front, again being wounded a number of times, once on 7 June 1917, at Messines whereby he received a gunshot wound to the left ankle, and was admitted to the 9th (Australian) Casualty Clearing Station before being hospitalised in both France and England. During another period of convalescence in May 1918, he was somehow talked into rowing the ‘Head of the River’ race at Oxford. He rowed at No. 2 in the boat and was presented with a medallion which is now held in the Heraldry Collection at the National Army Museum in Waiouru. Jack Subritzky returned to New Zealand on 27 October 1919 aboard the Remuera and was discharged from the New Zealand Army. During the inter-war years, Jack served with the Territorials and during WWII, he served with the Home Guard at Whangarei and Narrow Neck Camp, Devonport, Auckland. Jack Subritzky died on 10 December 1950. Charles Swan was born on 3 January 1894 in Lower Hutt but lived his early years in the Wairarapa. Prior to WWI, Charles Swan was working as a farm hand near Pahiatua. Charles enlisted on 19 May 1917 and embarked from Wellington on 26 July 1917 aboard the Ulimaroa bound for Plymouth, England. He arrived on 24 September 1917 and entrained to Brocton Camp near Cannock Chase, Staffordshire. After a period of training, he left for Etaples, France and was soon in the thick of the action. On 22 March 1918, he was caught in a bad gas attack and was rushed to the 44th Casualty Clearing Station. He was later admitted to hospital near the NZ Base Depot at Etaples and after recovering, returned to his unit in the field. His health had been affected by the gas and he was in and out of hospital before being sent back to England to convalesce. During his convalescence, he was asked to row in the ‘Head of the River’ race at Oxford. He rowed as the ‘Stroke’ and was presented with a medallion which is now held in the Heraldry Collection at the National Army Museum in Waiouru. Charles Swan was eventually invalided out of the army, classed as being physically unfit for active service. He returned to New Zealand in November 1918. He was officially discharged on 16 January 1919. Charles Swan lived in the Wairarapa until his death at Mangatainoka on 8 September 1973. 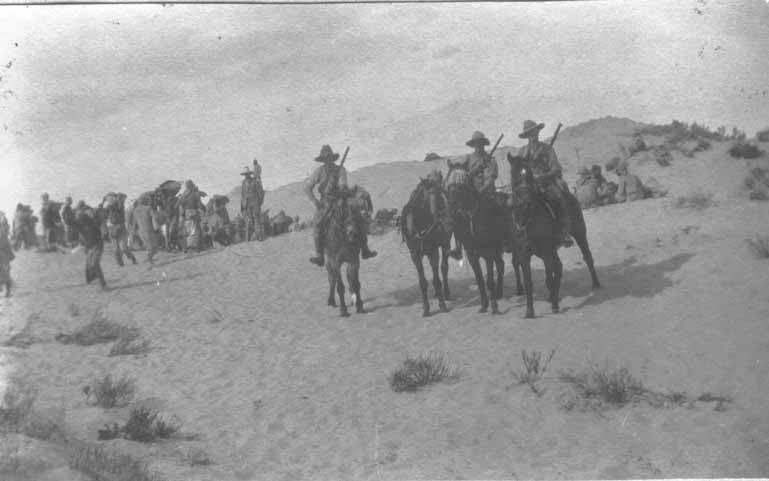 Following an Ottoman attack which began in the middle of the night, the New Zealand Mounted Rifles Brigade took part in a 2-day conflict in the Sinai Peninsula which became known as the Battle of Romani. The confrontation lasted from 3 – 5th of August 1916 and saw 1130 Allied casualties, with the Anzac Division taking the brunt of the losses. The Battle of Romani was part of the larger Sinai Campaign, which aimed to secure the Suez Canal against the danger of Ottoman attack. The confrontation marked the beginning of an offensive that eventually saw the Ottoman Army retreat to Palestine. Yet, Ottoman forces weren’t the only challenge that New Zealand Mounted Rifles Brigade faced during the campaign. They also had to endure the harsh and isolated conditions of the desert environment. As Allied forces advanced into the Sinai, a railway and water pipeline was constructed to provide the army with much-need water and supplies. The image above shows a patrol from the Auckland Mounted Rifles Regiment, whose role it was to protect the construction against Ottoman attack, at the rail-head near Romani, 1916. The exhibition Sand in the Apricot Jam, features works by artist Rebecca Holden which acknowledge the role of the New Zealand Mounted Rifles during WWI. The artist’s grandfather John (Jack) Culleton served as a trooper with the 4th Waikato Squadron of the Auckland Mounted Rifles. Holden’s paintings honour the characters of and sacrifices made by the men who fought under the demanding conditions of the Middle Eastern theatre of war. Sand in the Apricot Jam is currently on display at the National Army Museum until 22nd August. 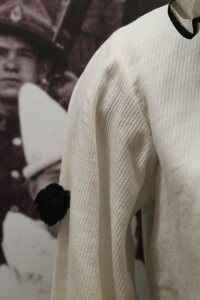 The featured costume belonged to Sergeant Major Alick Donaldson, originally a bank clerk from Geraldine. Accounts of World War One understandably revolve around the drama of it’s fierce battles – soldiers emerging above the parapet, the relentless barrage of machine gun fire and thunder of exploding shells. Yet, not all times could be characterized by such intensity. Confrontation was often separated by long periods of stalemate, in which the morale of soldiers began to dwindle as the drudgery of everyday military service took hold. Performance troupes were established across several divisions as a means of providing entertainment and well-needed distraction for soldiers. The curiously titled Digger Pierrots were a collection of like-minded soldiers from New Zealand who established themselves as a performance group in the northern French base camp of Etaples in 1917. Although they began as a motley collection of amateur performers, by the end of the war their shows had evolved into polished and highly entertaining revues. Their concerts included a mixture of popular songs from well-known musicals alongside dances, pantomimes, lightning sketches and comedic routines. At times, the performances boasted audiences of up to 1600 soldiers in large cinema theaters. As their reputation grew the troupe began to tour through camps and hospitals in Belgium, wider regions of France and England. By the time the troupe returned to New Zealand in late 1919 their reputation had preceded them. A national tour was organised to showcase the popular Digger Pierrots to the audiences at home. In 1920, the show was extended to include a commercial tour of Australia and the troupe were celebrated by both Kiwi and Australian audiences alike. 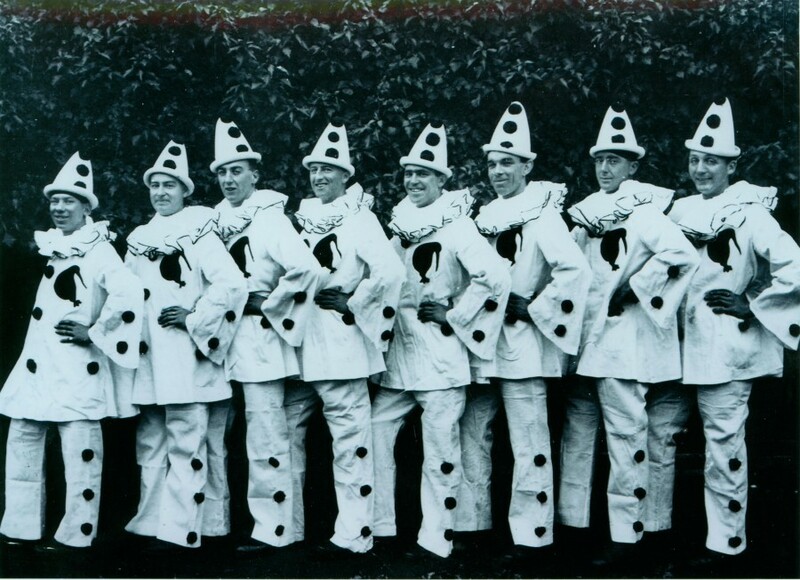 The Digger Pierrots continued to tour Australasia through to the early 1930’s and the show went on to launch successful careers for many of its talented members. The featured costume belonged to Sergeant Major Alick Rangi Gillespie Donaldson of the New Zealand Engineers. Alick Donaldson, originally a bank clerk from Geraldine, sailed for England aboard the Maunganui on 21 November 1917 and became a member of the Digger Pierrots towards the end of the war. It is quite possible that he took part in the Australasian tour once he returned home on 27 May 1919 aboard the Tahiti. Sergeant Alick Donaldon’s costume is on display as part of our exhibition Farewell Zealandia: Forgotten Kiwi Songs of WWI, currently showing at the National Army Museum. ‘Digger’ was a popular slang term used to describe ANZAC soldiers during World War One, particularly between Kiwis and Australians when referring to one another. 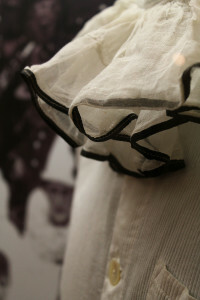 The character of ‘Pierrot’ embodied not only in the title of the performing troupe but also in their costume, is derived from a traditional French pantomime personality. 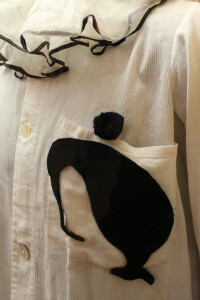 The main departure made by the New Zealand performers from Pierrot’s iconic costume would be the Kiwi symbol or sometimes fern emblem placed upon the breast. 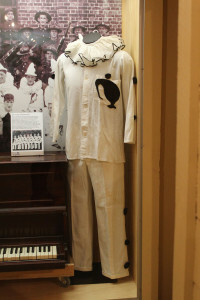 The portrayal of Pierrot remained popular in France within amateur theaters during the early 20th century and would’ve made an obvious choice for costume-makers during the war. If you’re are travelling through Waiouru these July School Holidays, drop in to the National Army Museum to view Famous Freda’s dog collar, on display in our interactive Kidz HQ space! Freda was a Harlequin Great Dane and mascot for the 5th (Reserve) Battalion of the New Zealand Rifle Brigade stationed in Cannock Chase, England during World War One. Freda’s story inspired the award-winning New Zealand children’s picture book The Anzac Puppy by Peter Millet and illustrator Trish Bowles. As a puppy, Freda was gifted to the New Zealand troops by a local family and shared her mascot duties with the cook house cat, Snooks. Freda grew into her full size as a large Great Dane and was well known around the community, often leading route marches and ceremonial parades. It is unclear whether Freda ever traveled to the Western Front although rumours abound that she had followed the Kiwis into battle on a number of occasions. Sadly Freda died in 1918, possibly of canine flu and was buried complete with her own headstone at the end of a line of huts at Cannock Chase. Freda’s first two headstones were harshly dealt with by weather and in 1964 her headstone was restored a third time by the Royal British Legion. In 2000 as a Millennium project, £350 was gifted to purchase a natural-looking, granite headstone. When Reverend Carol Hathorne dedicated her new headstone the ceremony drew a crowd of over 70 locals, some with their own dogs. Freda remains something of a canine celebrity in the Cannock Chase community and her grave remains a feature of historic tours for visitors to the area. She has her own Facebook page, Freda’s Footsteps, updating followers on important canine issues and promoting awareness for responsible dog ownership in Cannock Chase. 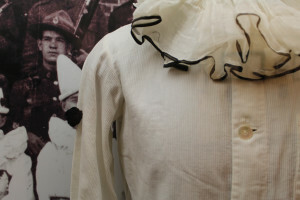 Freda’s collar was donated to the Army Museum and over the past few years, many visitors have arrived from England hoping to catch a glimpse of a much treasured artefact. New Zealander James Waddell with his third wife (Aida Josephine Schmitt) in the 1920’s. He is still in uniform and his Croix de Guerre with seven palms is displayed upon his breast. Photo courtesy of Waddell family. Photo of James Waddell, c. 1913, in captain’s uniform, French Foreign Legion. Photo courtesy of Waddell family. The remarkable story of a Kiwi whose glittering military career spanned 20 years in France’s Foreign Legion, has recently been brought to life in the exhibition Médaillé Extraordinaire, which opened in France earlier this month. It tells the little known story of Lieutenant-Colonel James Waddell who was born in Dunedin, New Zealand, but fought under the French flag for the duration of World War One. His tale is particularly fitting as it celebrates the enduring connections made between both countries throughout our military history and coincides with centenary commemorations of the Battle of the Somme in France which began on 1st July, 1916. “The story of James Waddell is fascinating for so many reasons, and it’s one we in both countries should know more about,” says curator New Zealander Jasmine Millet. Waddell was appointed to the French Foreign Legion’s 2nd Infantry Battalion in 1900, when he joined as Sub-Lieutenant at the age of 26. By the outbreak of WWI, he had seen service in Algeria, Morocco and Tonkin (French Indo-China), all locations of active combat for the legion. He gave brilliant service as a battalion commander of Legion troops at Gallipoli, on the Somme, at Champagne and Verdun. 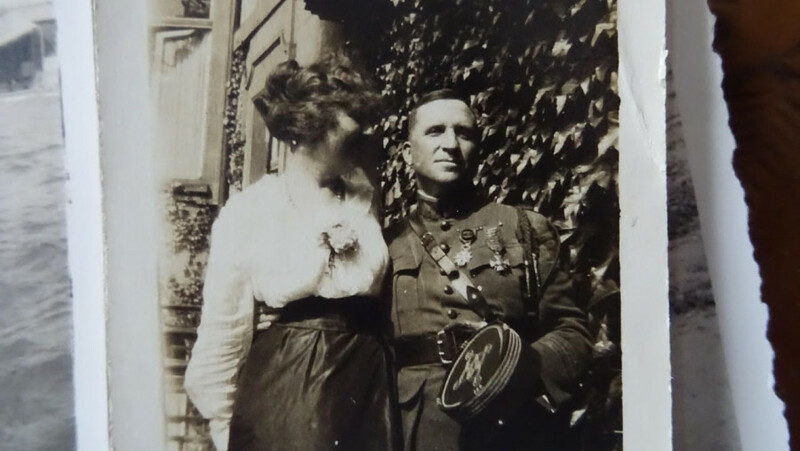 Waddell was awarded France’s Croix de Guerre 1914-1918 with seven palms, was made Commander of the Legion of Honours and lived to tell the tale. Alongside his Croix de Guerre, Waddell was a heavily decorated officer within the French Army. Unfortunately it is said that he lost all of his medals later in life, probably while travelling on a train. James Waddell later in life. Photo courtesy of Waddell family. Médaillé Extraordinaire will be shown in Belloy-en-Santerre until the end of August, after which it will travel around the Santerre region of Picardy. Belloy-en-Santerre is a particulary relevant location for the launch of the exhibition, as the French Foreign Legion initiated an attack to successfully recapture the village during the Battle of the Somme on 4th July, 1916. Waddell played an important role in this military action and it was to be the occasion in which he earned his third Croix de Guerre with Palm. “We are delighted to be able to present this unique exhibition as part of our local centenary commemorations of the Battle of the Somme,” says Association Santerre secretary Marcel Queryat. 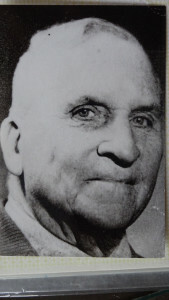 James Waddell returned to New Zealand later in life in 1950 to be with family. He passed away on 18th February, 1954 at Palmerston North Hospital aged 82 years-old. He is buried at Tiro Tiro soldiers’ cemetery in Levin. Médaillé Extraordinaire is one of only two New Zealand-led projects given the official seal of France’s Mission du centenaire de la Premiere Guerre mondiale. It combines large-scale photographs with the story of Waddell researched by Millet over seven years and is hosted in Pircardie by the Association Santerre 2014-2018 and the Souvenir Français. The exhibition has been developed and supported by: Story Shop, France-New Zealand Friendship Fun, Association Santerre 2014-2018, Souvenir Français, ECPAD and the Horowhenua Chronicle. Find out more about the courageous story of Lieutenant Francis Leveson-Gower West and his time spent serving in Gallipoli and the Western Front during World War One. An exciting new addition to our archives has recently been donated to the museum – an assortment of 16 cartoon sketches from the collection of Major Horace Leonard Heatley, editor of the NZEF Times and official war correspondent during World War Two. The NZEF (New Zealand Expeditionary Force) Times was a free publication available to all 2NZEF personnel and was printed predominantly in Egypt with a few editions issued out of Italy. Major Heatley’s collection includes original works by distinguished New Zealand artist and political cartoonist Neville Colvin. Colvin served in the 2nd NZEF in Egypt and Italy and undertook his cartooning apprenticeship for the NZEF Times. Colvin’s work during the war was well-known for his character ‘Fred Clueless’, the long-suffering New Zealand soldier, alongside other humorous and satirical sketches portraying life amongst the troops. When peace was declared he took up the position as staff cartoonist in 1946 for Wellington’s Evening Post, where he continued to work for a decade. Unfortunately, due to New Zealand’s small-scale press industry at the time, only a handful of jobs existed for professional cartoonists. Colvin left New Zealand and went on to establish a successful career in Britain, working as a staff cartoonist and contributor for several major publications. His work was featured in newspapers such as the News Chronicle, the Daily Telegraph, the Evening Standard, the News of the World, the Daily Sketch, the Daily Express and the Sunday Express. This collection was kindly donated to the National Army Museum by Major Heatley’s family. Before the Europeans came to New Zealand, the Maori were the only people on the islands. The pre-European Maori were warriors, and it was common to find conflicts between tribes. Projectile weapons, such as spears or arrows, were almost never used. Instead, the Maori were involved in hand-to-hand combat. Maori warriors began training for combat at a young age. They would train for years to build up the strength and skills that were necessary to serve as a warrior for their tribe. The young males knew the importance of training specific parts of the body, too, such as the wrists. To do so, they would use tools, such as Poi, which are traditional balls on long strings, to not only strengthen the wrists, but to also give flexibility to the joints. In addition to training these areas, the young boys would play games in order to improve their physical strength and stamina. One such game, ti rakau, was a traditional stick game where a line of people would sit face to face and throw sticks to each other in time with a traditional Maori song. “E Papa Waiari” is one such song that was good for these games as it had a good beat that the players could follow. From youth, the training of war was one of the most important things to the Maori, and the use of weapons was only one of the important skills that the young warriors were taught. For instance, one important lesson was to learn to keep the eyes from moving from strategic points when in battle, such as the shoulder or the big toe’s point. They do this as they would be able to predict where the enemy would move by seeing the clinching of the toe. Though the warriors only had a split second to react, this time was enough to move out of the way. In addition, the twitch of the shoulder muscles signalled to the warrior that the enemy was moving to attack. After many years of training their bodies and minds, as well as learning how to use weapons, the warriors were ready to enter the fray. To the Maori, the greatest honour was to die in battle, and their worst nightmares were filled with dying in their beds, as they considered that to be weak. Most of the time, a Maori warrior would take two weapons into battle, a short, striking one and a long weapon, which allowed him to stand further away from his enemy. One of the main weapons that pre-European Maori used were patu onewa, which were made from basalt, which was a local resource. This was a hand weapon that was used to attack the upper body of an enemy by using a thrusting motion. These weapons were also used to hit the head as a mortal blow to a fallen enemy. You can view the patu onewa in person at the National Army Museum in the New Zealand Wars Gallery. The patu parāoa was a pre-European weapon made of whale bone, which again, was a local resource for the Maori. This weapon was used as a club, and the warriors would attempt to hit their opponents shoulder in hopes that it will break or dislocate, causing them to drop their weapon. At this point, a blow to the head would be unopposed. You can view the whalebone patu in the New Zealand Wars Gallery at the National Army Museum. The taiaha is another weapon used by the pre-European Maori, and it is the equivalent of the quarter staff. 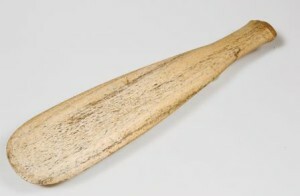 This weapon was a “weapon of authority,“ which was used by chiefs in both attacks and defence. 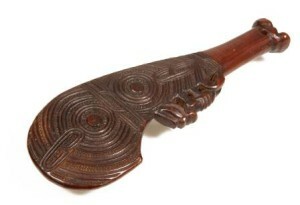 The taiaha was used to distract an opponent thanks to the tufts of features that were placed around the neck of the weapon. Maori warfare was almost always hand-to-hand combat, and it was a major activity for the Maori. It was an emotional and strenuous activity, but it was also full of ceremony and ritual throughout the process. There were major incentives for war for the Maori, and some of them included slavery, food and land. There was also revenge, which was an incentive for many Maori. You can see traditional Maori taiaha in the upper gallery of the New Zealand Wars Gallery at the National Army Museum. 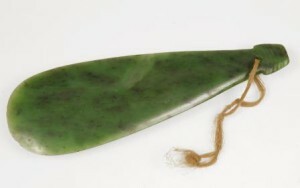 Another pre-European Maori weapon was the mere pounamu. A mere is a basic thrust weapon that was used to target the vital points of the body, especially the head and ribs. Skilled Maori warriors would give horizontal thrusts to the temple, or target the ribs with an upward thrust. The mere pounamu was the most revered of all the Maori weapons, and some were even buried with the owner. Most, however, were passed along from one generation to another, along with the prestige of owning a weapon that a great warrior once held. Many meres were named, and the Maori believed that these weapons, over time, developed certain virtues. For instance, the famous Maori chief and war leader, Te Rauparaha, had a mere named “Tuhiwai,” and it was believed to be able to tell the future by changing its colour. You can see the collection of mere at the New Zealand Wars/Colonial Gallery, which is located in the upper area of the National Army Museum. The wahaika was a pre-European weapon that was traditionally used in hand to hand contact. Wahaika, which means “Mouth of the Fish,” was mostly made from wood or whalebone. The wooden wahaika is often carved with intricate designs. These weapons have a concave back and have a carved notch on the edge of the back of the weapon. Many also have carvings on the reke, and many have carvings of small human-looking figures near the handle. The weapons were used in battle, of course, but also used in speeches and ceremony to accentuate the delivery of a particular point where Rangitira wanted people to pay attention. 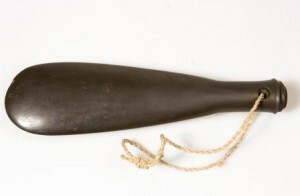 As with the other Maori weapons, the wahaika were used in hand-to-hand combat. The warrior would thrust the wahaika into the body of their enemy, and since the wahaika has a sharp edge, much harm could be done. You can see examples of these weapons at the National Army Museum in the Roimata Pounamu Memorial Area. Folksong.org.nz – links to folk songs, such as tītī tōrea, sung when playing tī rakau. The Journal Surf database, which features back issues with information about Maori weapons and songs. You can also view these weapons in person at the National Army Museum.